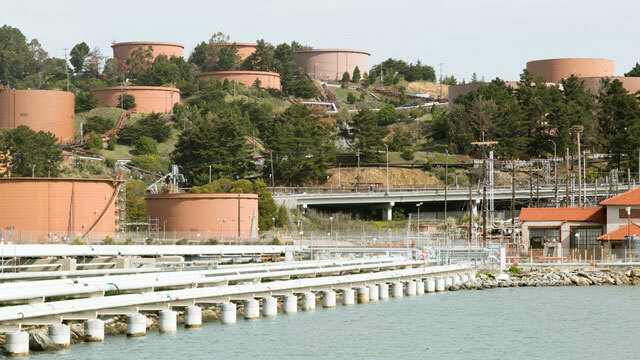 The rust-red painted tanks of Chevron's Richmond refinery are a familiar sight for drivers in the East Bay. 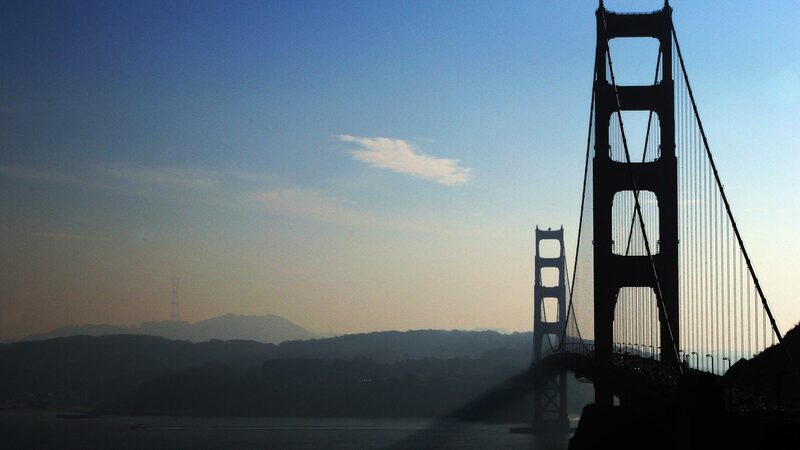 The facility, sprawling across about four and a half miles at the foot of the Richmond-San Rafael Bridge, is the biggest refinery in Northern California. "There was pretty much nothing else here. It just looked like an open plain," said Chevron's Brian Hubinger. Hubinger, the technical advisor for what Chevron’s calling its modernization project took me on a tour of the facility. (Critics of the project are more apt to call it an "expansion.") We drove to the end of the wharf where tankers full of oil from the Middle East and Alaska unload, and then back into the heart of the refinery, past right-angled tangles of pipeline. We parked near what looked like a brown barn on stilts: Chevron's half-built hydrogen plant. That’s how much the company was able to construct before a state court judge stopped the project in 2010. This plant would produce more hydrogen, more efficiently, than the existing one does. Chevron wants the upgrade -- and other changes it’s proposing -- because hydrogen helps clean the sulfur out of crude oil. And the company wants to refine crude that has more sulfur in it. 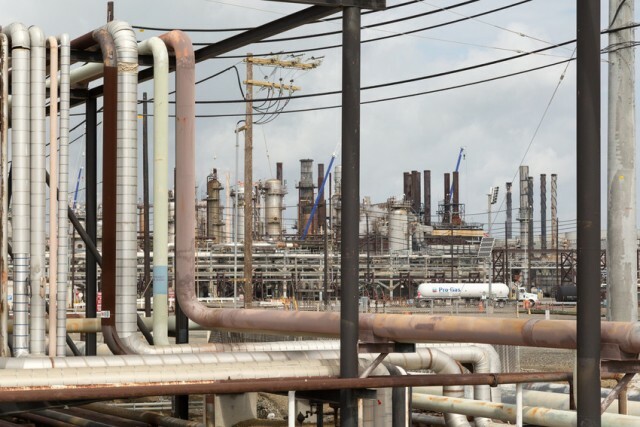 "It provides flexibility to the refinery to remain competitive in the future," Hubinger said. 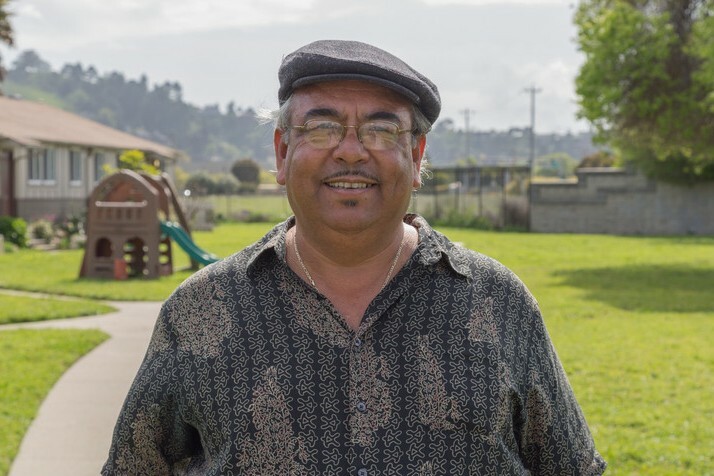 "Whatever Chevron says, we have to look at the truth and not accept their word for it," said Andrés Soto, an organizer with Communities for a Better Environment (CBE). "Chevron refused to disclose the crude slate quality that they would process as a result of this project," Soto said. "If they were going to expand their hydrogen production, that was because they were going to be processing dirtier crude." 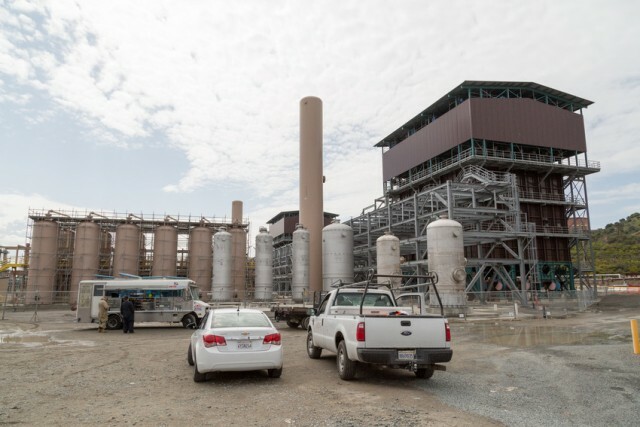 In terms of emissions that could make people sick -- toxic air contaminants and criteria air pollutants – Barber said Chevron will offset those, too. The company’s proposals include installing new burners that lower nitrogen oxide emissions and replacing three tanker ships with newer ships that have more efficient engines. "We know they are claiming there will be no net increase in emissions," said Soto. "And that sounds great. Except that the current level of emissions are already killing us. We have disproportionately high rates of cancers, asthma, other autoimmune diseases." "That was an episodic exposure," he said. "But then there's the persistent and prolonged every day exposure that also happens." Richmond mayor Gayle McLaughlin said she wants the project and the 1,000 construction jobs it's expected to create, but she also wants to make sure it’s safe. And she sees it as a chance to push Chevron for lower emissions. "How often do we have an opportunity to determine whether or not to permit a $1 billion expansion project from a large refinery?" she said.